Queen Carradee Angelo – Oldest daughter of the Angelo royal family, Carradee is the heir in waiting for her mother Siwann’s throne. Carradee is unexpectedly thrust into this role early when the Federacy attacks and occupies Netaia in response to Netaia’s attempt to invade an outlying Federate system. Siwann chooses suicide for her failure as Netaia’s monarch, and so the responsibility for leading Netaia through its transition period into Federate governance falls on Carradee. In contrast to her ruthless younger sister Phoena, Carradee is kind-hearted. Because Carradee often tries to mitigate the tensions between the traditional Netaian culture and the newly arrived Federacy, she often finds herself at odds with her ruling Electoral Council. Carradee undergoes a great deal of growth in the first three FIREBIRD novels (FIREBIRD, FUSION FIRE, CROWN OF FIRE) due to her growing disillusionment with Netaia’s merciless culture. Drawn to the compassionate Eternal Speaker despite her loyalty to Netaia, she leads her nation toward healthy compromise with Federate ways. Lady Firebird (“Mari”) Elsbeth Angelo Caldwell – Protagonist for the first three Firebird novels (FIREBIRD, FUSION FIRE, CROWN OF FIRE) and a minor character in the concluding novel, DAYSTAR. Third daughter to Queen Siwann of Netaia, Firebird is a “wastling” child doomed to seek a noble death once her older sister, Carradee, secures the royal succession. She has had a lifelong rivalry with her middle sister, Phoena. Firebird undergoes several transformations, both personal and spiritual, over the course of the first three books. The primary transformation is her journey from the graceless religion of Netaia’s Nine Holy Powers to faith in the Eternal Speaker, the omnipotent, loving God who sang all of creation into being. Key in this transformation is her marriage to Master Sentinel Brennen Caldwell, a genetically altered telepath who descends from a small family bearing a secret and holy promise within the race of the Thyrian-Ehretan Sentinels. In DAYSTAR, Firebird and Brennen’s daughter Tiala is revealed as mother to the Messianic Boh-Dabar (“Word to Come”), who is born at the hidden Sentinel prayer community of Tekkumah on Procyel II. In the first three books, Firebird is often described as having auburn hair and “delicate” features. She is a determined individual who often wrestles against her own pride. Firebird is fiercely devoted to whatever she believes in, and she strives for excellence in all things. By the novel DAYSTAR, Firebird and Brennen have three grown children (fraternal twin brothers Kiel and Kinnor and daughter Tiala) and five grandchildren (Kiel’s daughters Annalah, Rena, and Perl; Kinnor’s son Jorah; Tiala’s son Tavkel). Master Sentinel Brennen Caldwell – A protagonist for the first three Firebird novels (FIREBIRD, FUSION FIRE, CROWN OF FIRE) and a significant character in DAYSTAR, Brennen is one of the Thyrian-Ehretan Sentinels, who are genetically altered telepaths. He was born the second son of the present Caldwell family, which carries a unique spiritual promise to eventually produce the Messianic Boh-Dabar (“Word to Come”). Because of this inheritance, the Shuhr, renegade telepaths sharing a common ancestry with Sentinels, have killed numerous descendants of the Caldwell line. In the course of the first trilogy, Brennen is left the only surviving male heir of the Caldwell line after his brother is murdered. Brennen’s character development centers on the tempering of his character. Though already compassionate and upright, his beliefs and integrity are consistently challenged by difficult circumstances. He faces both political intrigue and assassination attempts due to his marriage to Lady Firebird Angelo of Netaia, as well as physical and psychic harm from the renegade Shuhr. The debilitating loss of telepathic abilities while imprisoned and tortured on the Shuhr home world of Three Zed forces Brennen into total dependence on the Eternal Speaker. Brennen is described as “middle-sized” and has piercing blue eyes. He is the highest ranking Master Sentinel in his generation and becomes the only Sentinel in history to serve on the Federate High Command. His consistent displays of integrity and compassion throughout the Firebird series make him distinctive from other characters. By the novel DAYSTAR, Firebird and Brennen have three grown children (fraternal twin brothers Kiel and Kinnor and daughter Tiala) and five grandchildren (Kiel’s daughters Annalah, Rena, and Perl; Kinnor’s son Jorah; Tiala’s son Tavkel). Second Lieutenant Jorah Caldwell – Son of Kinnor Caldwell and Wind Haworth, Jorah makes his appearance in DAYSTAR. He bears the uniquely mixed heritage of three people groups: Thyrian-Ehretan Sentinels, Netaians, and Mikuhrans. Recently vested as a Second Lieutenant in Federate Special Operations, Jorah is held for disciplinary action after unknowingly assisting his father in direct disobedience of orders. Jorah is earnest and eager to prove himself. He undergoes a crisis of identity after Chancellor Piper Gambrel strips him of his Sentinel telepathic abilities in order to use him against the Sentinel people. In the course of DAYSTAR, he also develops a romantic attraction to non-Sentinel Meris Cariole. Shamarr Kiel Caldwell – Protagonist in WIND AND SHADOW and a major character in DAYSTAR (though he also makes a minor appearance in both FUSION FIRE and CROWN OF FIRE). Kiel is the son of Firebird Angelo and Brennen Caldwell, and he chooses the atypical path of the priesthood rather than his family’s usual military career. He displays a low level of telepathic abilities compared to his twin brother Kinnor, a fact that is exploited when Tamím Bar’Baror kidnaps him in WIND AND SHADOW. Kiel undergoes crises of faith in both WIND AND SHADOW and DAYSTAR. Steeped in the beliefs and culture of his people, Kiel often wrestles with existential questions such as the Eternal Speaker’s balance of divine justice and mercy and his personal choice and obedience. He is confronted with his own flawed humanity and the incomprehensible mystery of the Eternal Speaker’s mercy. Kiel is described as “tall” and concerned for those around him. By the novel DAYSTAR he is the spiritual leader of the Sentinel community. He has three daughters with Hanusha Dardy: Annalah, Rinnah, and Perl. Air Master Kinnor Caldwell – Protagonist in WIND AND SHADOW and a significant character in DAYSTAR (though he also makes minor appearances in both FUSION FIRE and CROWN OF FIRE). Kinnor is the son of Firebird Angelo and Brennen Caldwell, and is infamous as the “loose cannon” in the family. Tending toward Firebird’s strong-willed temperament, Kinnor rarely falls in line with the status quo. He acts strongly on what he believes is right, even if it means disobeying direct orders or challenging those in authority. A man of action, middle-sized like his father but more strongly built, Kinnor has little patience for those with more empathetic or diplomatic tendencies. Kinnor clashes particularly with his twin brother Kiel in WIND AND SHADOW, due to their respective career paths and Kinnor’s sense of the family’s unspoken favoritism toward Kiel. Kinnor’s defiant streak characterizes him throughout both WIND AND SHADOW and DAYSTAR and often results in disciplinary action. He marries Mikuhran Wind Haworth at the end of WIND AND SHADOW and has an adult son Jorah by the novel DAYSTAR. Tavkel Caldwell – Central character in DAYSTAR. The long anticipated Boh-Dabar (“Word to Come”), Tavkel is the fulfillment of many generations of faithful waiting. He descends from the Caldwell family among the Thyrian-Ehretan Sentinel race. His mother is Firebird and Brennen’s virgin daughter, Tiala, who births him at the hidden Sentinel prayer community of Tekkumah on Procyel II. A herdsman, Tavkel is tan and muscular. He clearly enjoys interacting with people, displaying great affection, authority and humility. As Tavkel uses his Messianic gifts, he physically heals people who should have been debilitated or dead. For those who choose, he renews their telepathic abilities as a display of reuniting the Sentinels’ abilities with the Eternal Speaker’s purposes. Meris Cariole – Protagonist of DAYSTAR. Studying to be a doctor, Meris is en route to her fourth year practicum at Elysia General when her ship is forced to land at the Sentinel sanctuary world of Procyel II. Meris is devoted to Chancellor Piper Gambrel, the founder of the Collegium for Human Learning. His teachings promote self-empowerment through Gnostic self awareness. Also in tension with her Collegiate beliefs are the Messianic displays of Tavkel, the Sentinel’s prophesied Boh-Dabar (“Word to Come”). As Meris investigates the scientific reality of Tavkel’s healings and miracles, she is drawn to the man while doubting his Messianic role. She also has romantic leanings toward Jorah Caldwell. Dowda Rava Haworth – Character in WIND AND SHADOW (with a brief cameo in DAYSTAR). Head “Dowda” or clan leader of Baseline Settlement, Rava is responsible for its leadership and maintenance. She navigates a fine line between revolutionary Mikuhran factions that still consider themselves enemies of the Sentinels and Federates, and the occupying Federate forces that could destroy Mikuhr at any moment. Despite her cultural disdain for familial affection, Rava looks out for her niece, Wind, who was raised by the Sentinel kindred on Thyrica before returning to Mikuhr as a liaison between the Mikuhran and Sentinel peoples. Minster Wind Haworth-Caldwell – Protagonist in WIND AND SHADOW and major character in DAYSTAR. As a child of the former Shuhr (now called “Mikuhrans”), Wind is taken off world at a young age to be raised and trained by her people’s conquerors, the Sentinels. Caught between her heritage and her upbringing, Wind struggles throughout WIND AND SHADOW to find a place between cultures, ideologies, and loyalties. Wind is often driven by her envy of pair-bonded Sentinels, as well as the deep loneliness of being shunned from both sides. As the established liaison on Mikuhr between the Mikuhran people and the Sentinels, Wind often finds herself mistrusted, and she struggles to bring about diplomatic harmony. She finds herself drawn to Sentinel Kinnor Caldwell, who arrives on Mikuhr to locate his kidnapped brother, Kiel. At the end of WIND AND SHADOW, Wind and Kinnor marry despite their cultural differences. By DAYSTAR, she and Kinnor have an adult son, Jorah. 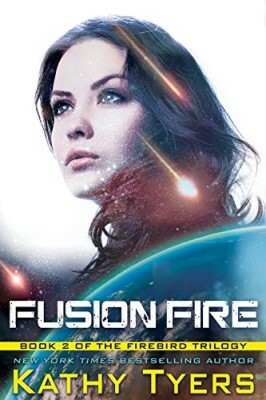 Field General Governor Ellet Kinsman – Secondary character throughout the FIREBIRD series, although she features more prominently in the first four books (FIREBIRD, FUSION FIRE, CROWN OF FIRE, WIND AND SHADOW). Ellet is a military colleague of Brennen Caldwell, and she shows an overt interest in pursuing a romantic relationship with him. This is thwarted when military prisoner Firebird Angelo draws Brennen’s attraction instead. Under the guise of cultural and religious concerns for the Caldwell lineage, Ellet tries in the first two books to discredit and prevent Firebird and Brennen’s relationship. However, Firebird and Ellet eventually reconcile in CROWN OF FIRE after Ellet marries fellow Sentinel Damalcon Dardy. In WIND AND SHADOW, Ellet is stationed as Occupation Governor of Mikuhr alongside her husband Damalcon, who serves as the occupying military commander. She continues her role as a regional historian for the former enemies of her people. Together with her husband she has one grown daughter, Hanusha Dardy, who is married to Firebird and Brennen’s son Kiel Caldwell. Count Tel Tellai (later Prince Tel Tellai-Angelo) – Secondary character in the first three FIREBIRD novels (FIREBIRD, FUSION FIRE, CROWN OF FIRE), with a brief cameo in DAYSTAR. Part of the Netaian elite, Tel is the classic example of an aristocratic dandy, raised to pursue only his own desires and the glory of Netaia. He loves and eventually marries Princess Phoena Angelo, though the events of FUSION FIRE show how little Phoena regards Tel or his affections. Tel is another character who undergoes a great deal of growth during the course of the series. Though Tel was raised among the wealthy and privileged Netaian elite, adversity reveals his true character to be one of nobility, loyalty, and compassion. Tel begins as an ignorant member of the Netaian Electorate but becomes a close and trusted friend for Firebird and Brennen. He also shows sensitivity and openness to the Sentinel faith in the Eternal Speaker.